“It has been brought to our attention that the Punch Newspaper of 31st January 2018 has reported, in a blazing and sensational headline, that the former Minister of Aviation, Chief Femi Fani-Kayode, “has heart disease”. This is false. 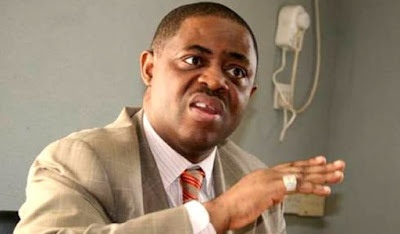 Worst still the story has brought a lot of fear and consternation into the hearts and minds of Chief Fani-Kayode’s friends, supporters and family members all over the world. It is only in the world of the reporter of the Punch Newspaper that a “heart-related ailment” has suddenly become “heart disease”. Chief Fani-Kayode’s lawyer, Mr. Norrison Quakers SAN, said that he had a “heart-related ailment” in open court and not “heart disease”. There is a world of difference between the two. He also said that he will be presenting a medical report to the court at a later date. We feel it is important to make these clarifications for record purposes”. SIGNED: Obiageli Nwachukwu, S.S.A. Public Affairs to the former Minister of Aviation, Chief Femi Fani-Kayode.